We are so glad you will be joining us for a day of real-world science and hands-on lab activities at the Baxter Symposium! 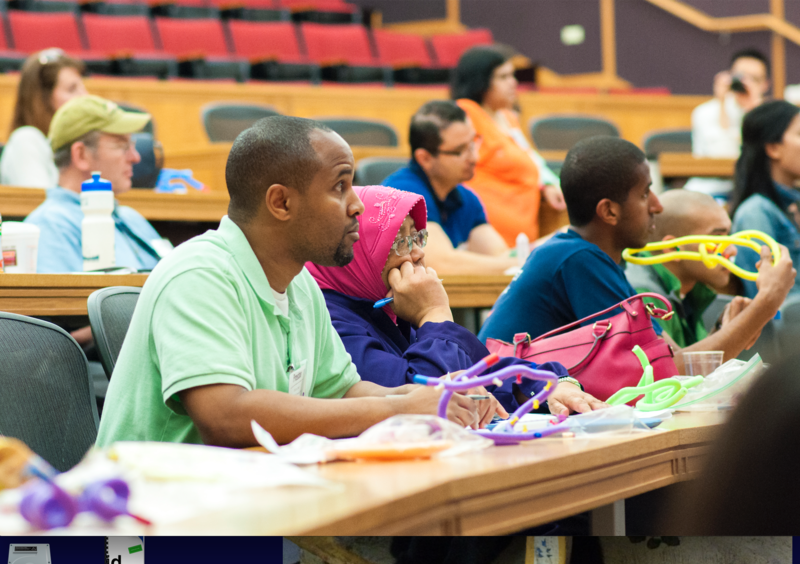 This year we will have a wide array of new hands-on activity offerings led by experienced teachers paired with Northwestern and Baxter scientists for you to choose from. Attendees who carpool or take public transportation will have an extra chance to win goodies! Keynote Speaker: Evan A. Scott, Ph.D..
What are the breakout sessions for the day? Nothing! This event is FREE for teachers to attend. Do I earn any CPDUs for attending? You can earn 6 CPDUs for attending the Symposium. The Baxter Symposium is taking place at Round Lake Senior High School at 800 Panther Blvd. in Round Lake, Illinois. You can look up directions here. 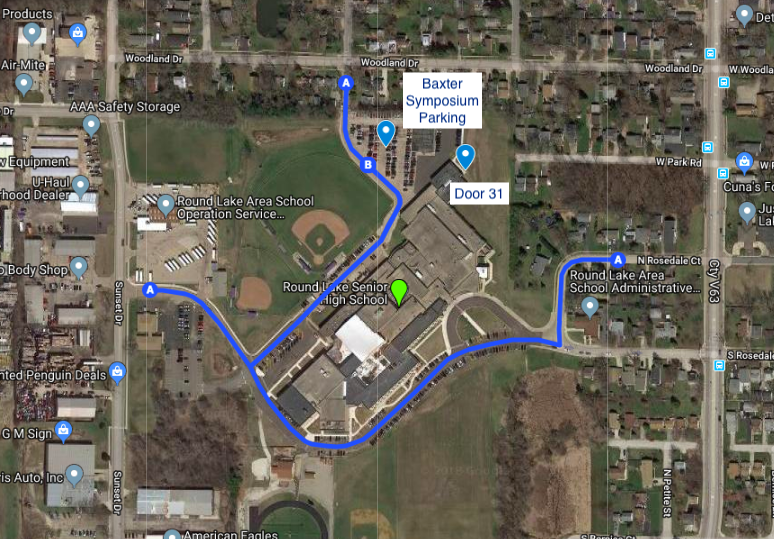 Parking is available in the student lot at the rear of the school on the North side. Entering from Woodland Drive will bring you directly to the student lot. The parking spaces are numbered. Enter the building through Door #31. No - parking is free. Will there be substitute pay for CPS teachers? Yes! Although we are hosting the Symposium at a new location, we want our friends at Chicago Public Schools to still be able to join us! To make that easier, we will be providing substitute pay for CPS teachers. How does substitute pay reimbursement for CPS teachers work? We will email all CPS teachers with directions for accessing funds for substitutes. If you have any questions, please email ashley.walter@northwestern.edu. I hear there is a chance to get goodies. What kind of goodies? Every year we give away Baxter Boxes to all attendees. These consist of both fun things and items that will help you implement hands-on labs in your classroom. We also have give away drawings at the end of the day, where you have a chance to win things like lab equipment, lab kits, and other exciting items. Carpooling or taking public transport to the Symposium gives you extra chances to win! Some sessions use computers, so it might be useful to bring yours along. Extra computers will also be available. To make registration go faster, you can also bring these completed forms with you: the Baxter Photo Release and Northwestern Photo Release.